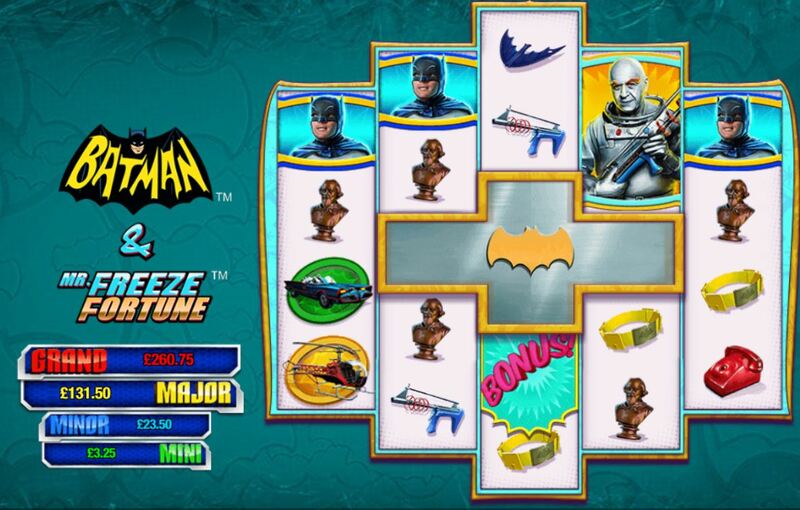 Batman And Mr Freeze slot by Ash Gaming is available via the Playtech platform and is yet another in the DC Comics series of Batman games. 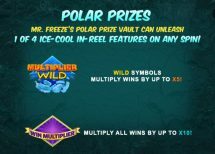 There are 1024 ways but not in the conventional 5 reel and 4 rows format – there is a space in the centre where in the free games more reel positions are present to increase the slot to 2400 ways! 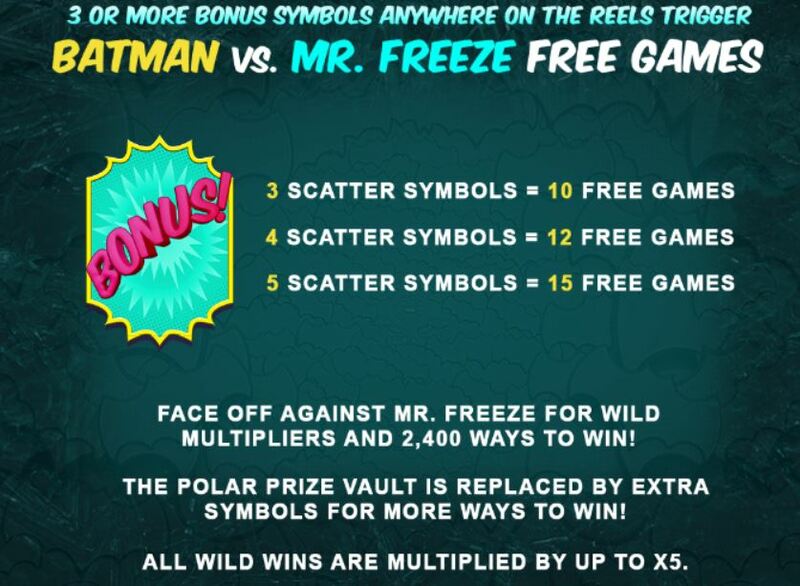 The free games are triggered by 3 scatters anywhere and Bat Wilds feature on all reels singly with no multiplier. 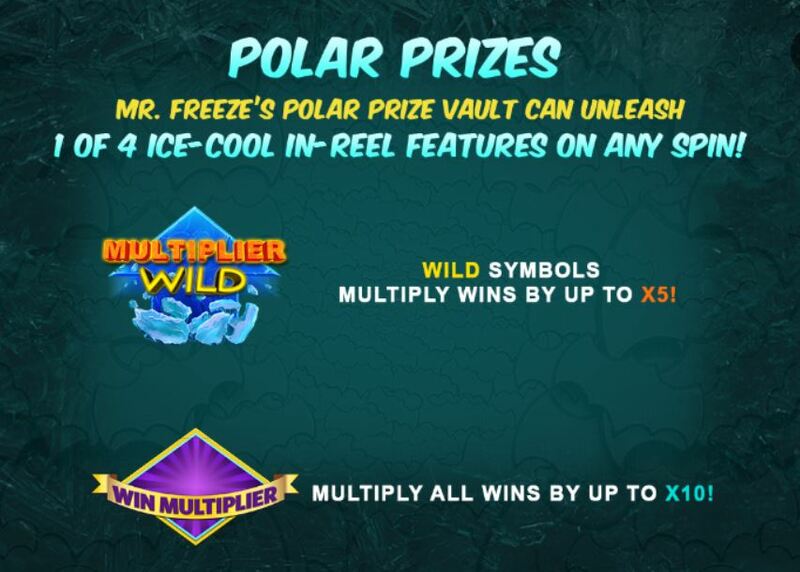 In the free games though, the wilds pay up to 5x the win if featuring! 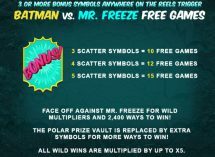 There are 4 in-play random features like 5x wilds, 10x win, Mr Freeze fights with Batman to leave Wilds in random places on the screen etc. 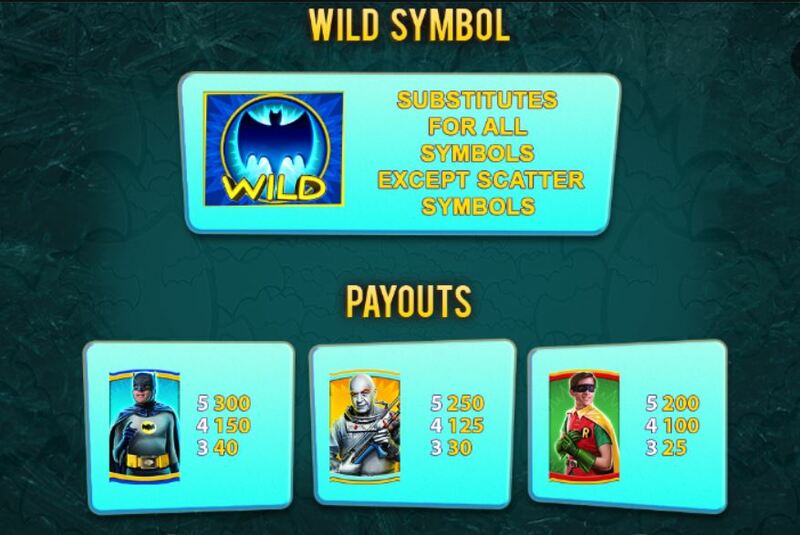 A decent RTP of 96.0% with 0.99% of this adding to the progressive jackpots, similar to Batman And The Riddler Riches slot.